Chinese smartphone maker LeEco has launched the Le 2 smartphone a few days back. It is the successor of the Le 1S. 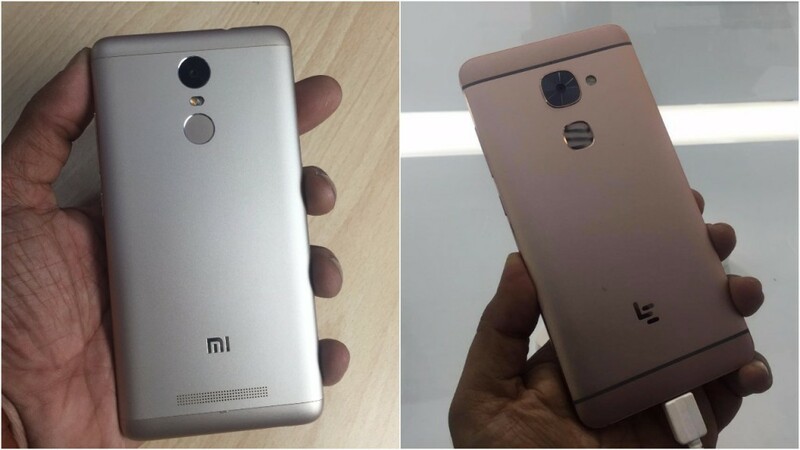 The Le 2 will directly compete with Xiaomi’s Redmi Note 3. The Le 2 is priced the same range as the Redmi Note 3 at INR 11,999. 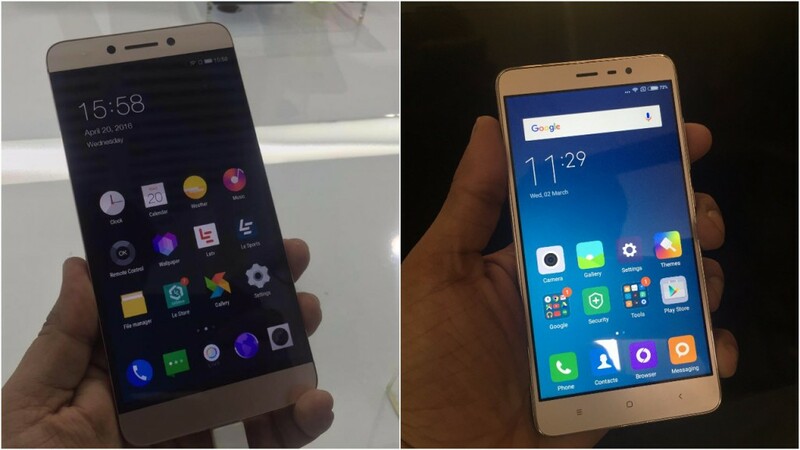 So we decided to take a look at how the Redmi Note 3 compares with the LeEco Le 2. In terms of design and build quality, both Le 2 and Redmi Note 3 have an impressive design and premium build material. Both come packed in a metal unibody which look elegant and feel solid. But when it comes to overall feel and some striking features, the Le 2 takes the lead with its bezel-less front, chrome fingerprint sensor, thick antennae bands and protruding camera lens. There is no doubt about the build quality of these two phones but it’s just that Le 2 looks and feels much better in hand. Coming to the displays, both devices offer similar display panels, which measure 5.5 inch diagonally and have full HD (1080p) resolution. The pixel density on both the phones is also equal with 403 pixels per inch. As far as quality is concerned, the colours on the Redmi Note 3 were more vivid and bright when compared to the LeEco Le 2. Viewing angles of both the phones are great as both the displays are IPS in nature and outdoor visibility is decent. Now for the performance part of it, both handsets are quite the performers with the LeEco Le 2 housing a 1.8 GHz Qualcomm Snapdragon 652 octa-core chipset and the Xiaomi Redmi Note 3 packing a Qualcomm Snapdragon 650 hexa-core chipset. There is no doubt that Snapdragon 652 is more advanced processor if compared to last year’s Snapdragon 650. Snapdragon 652 comes with 4 A-72 cores whereas the Snapdragon 650 has just 2. The Redmi Note 3 offers two options in terms of storage. There is a 3 GB RAM and 32 GB storage variant and a cheaper 2 GB RAM and 16 GB storage variant. It comes with microSD card support up to 128 GB. The LeEco Le 2 comes with 3 GB RAM and 32 GB internal storage. The Le 2 does not support microSD. I really liked the combination of Qualcomm 652 with LeEco’s eUI on top of Marshmallow. There is not a major upgrade in the camera department of the Le 2, it comes with a 16 MP rear shooter and an 8 MP front camera. 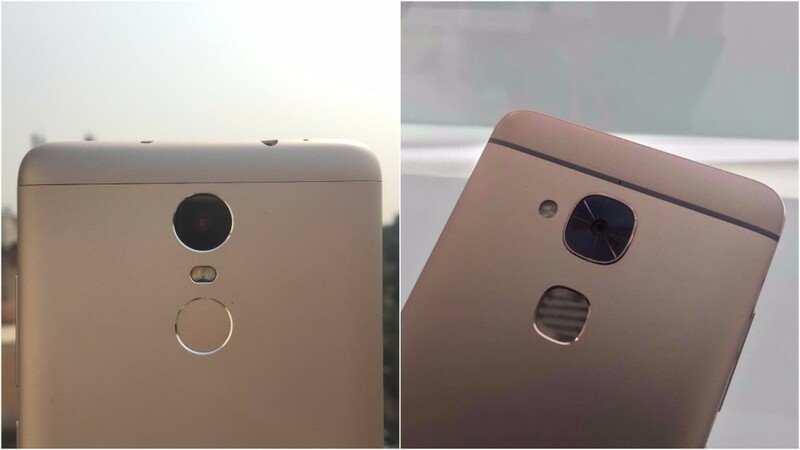 Redmi Note 3 also has a 16 MP rear shooter but the front camera is only 5 MP in comparison with Le 2’s 8 MP camera. As we proceeded to examine the quality of the pictures we could see both the cameras doing equally well from the rear camera but as the specs suggest, Le 2 clicked better front camera pictures. Both the devices are capable of recording Full HD video at 30 fps but stabilization and details were better on LeEco Le 2. The Redmi Note 3 comes with a Non-removable Li-Po 4,050 mAh battery with Quick Charge 2.0 support. The LeEco Le 2 is powered by a Non-removable 3000mAh battery with fast charge support. The Redmi Note 3 is a clear winner in terms of battery backup. The 16 GB variant of Redmi Note 3 is priced at Rs. 9,999 and the 32 GB variant is priced at Rs. 11,999. The LeEco Le 2 has been priced at Rs. 11,999. 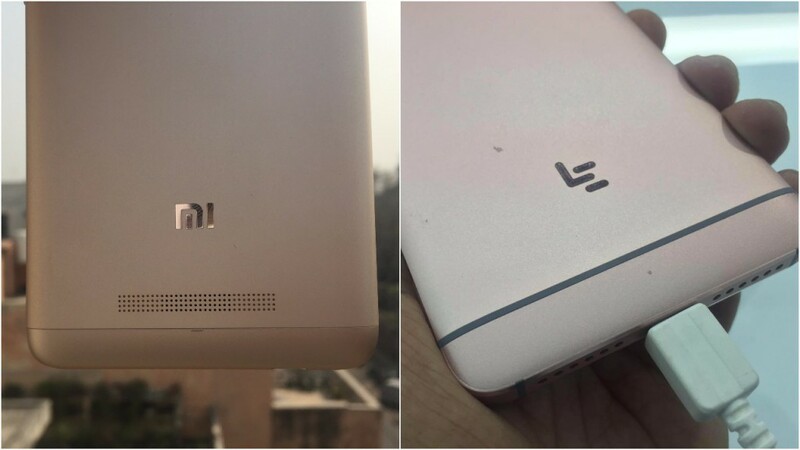 While the Redmi Note 3 is available in weekly flash sales in India, the LeEco Le 2 is said to be available in India later in June on Flipkart and LeMall.com. The Xiaomi Redmi Note 3 and the LeEco Le 2 are tough competitors on paper. While Xiaomi has been selling the Redmi Note 3 for a few weeks now in India, LeEco Le 2 is a fresh entrant in the competition. Given the fact that both the phones compete with each other neck to neck, the availability will be extremely crucial in deciding which phone wins the battle. In this price range, there are hardly any phones that give you as much value for money as these two phones.